Interview Request...here are my questions if you could answer them for me. 1)What type of computer skills are needed on the job currently? Really just basic computer skills for billing and coding - mainly the ability to type and enter data. If you can use basic Microsoft applications such as Word and Excel you will be well prepared. Most of the tasks involve entering codes, notes, numbers, etc. in the practice management/billing software. 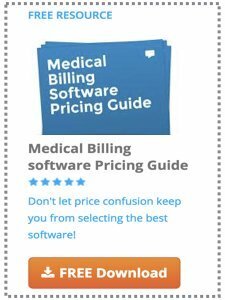 Most of the popular billing and practice management software I use are intuitive so once you learn one it's easy to learn others. If you operate your own business, it's helpful to be able to install a software application, set up user accounts, install and maintain virus protection - otherwise you're more dependent on software support services which can cost $$$. 2)What type of computer skills are needed in the future? I think we'll see more practice management and billing functions moving to web based applications. That's just because most practices and billing services don't want mess with software and servers and the cost and maintenance that goes with it. Electronic Medical Records (EMR) software use is becoming much more common. Most practices have either implemented EMR or are planning to. This should make the billing and coding more streamlined and reduce the paperwork. 3)What do you do to keep abreast of technology? For developments in the healthcare reimbursement field I rely a lot on my clearinghouse - ENS/Ingenix. Their web site is www.enshealth.com. They send me periodic emails and also have a lot of great information on current events and trends under the "News and Events" and "Industry Links" tabs. HIPAA has had a big impact on healthcare in the last 10 years and they have some good info on these changes. 4)What type of computer training did you acquire to be able to perform your job? I didn't take any special computer training - just what I learned in previous jobs in the insurance business - typing and data entry. You really just need to have good basic computer skills such as those needed to use common applications (such as MS Word) and a web browser. The ability to create and manage files on a computer is necessary also. I've been fortunate in dealing with more difficult computer tasks as my husband is an engineer and does a lot of the maintenance and troubleshooting. This would be issues like software upgrades and network connectivity problems - like you would have setting up a home network. Otherwise I would be dependent on the technical support services offered by my software provider - in my case this is AltaPoint. I also use Lytec but it runs on our providers server so we just have a log-on using Windows Remote Desktop. 5)What type of computers do they use on the job? I use a standard Windows desktop PC or laptop most of the time. Our billing software resides on a server so we just log-on to the server. The server is basically just a beefed up desktop PC with the ability to host several clients. I also log onto our clearinghouse website - but this is all done through windows Explorer and doesn't require special software. 6)What types of computer software are they required to use? I use both AltaPoint and Lytec which are server based applications. You can check them out at www.altapoint.com and www.lytec.com. They will usually allow you to download a demo if you want to see what they look like. I also recommend you check out www.kareo.com for a web based application. They have several good videos that demonstrate their software and most of the basic billing functions. 7)How much time do you spend on the computer? For the time that I work, I spend about 80% of the time on the computer. The other 20% is probably spent on the phone. 8)How do you feel about your career choice and do you love it or was it something that worked for you? And is it a stressful job? It can be stressful at times because the doctor and all his employees is very dependent on us getting claims entered correctly and filed promptly so they can get paid. If there's any interruptions or rejection of claims, we hear about it quickly and have to explain. I do enjoy the work because I operate my own business, it gives me a freedom and flexibility I wouldn't otherwise have. That's really a blessing when you have kids. After doing this several years I've learned how to deal with the ups and downs associated with dealing with difficult doctors and operating a business - but I do love it and have learned and grown so much. I will say it was very hard getting established so perseverance is probably the most important train needed to succeed. 9)How much time do you spend on the computer for your job? For a busy practice I expect to spend about 40+ hours a week on the computer - per practice. So if you have 2 busy practices this would be 80+ a week. I do have part time help so I don't spend as much time on the computer now as I used to - otherwise I would have no spare time. When you reach a certain point in this business you have to hire help. Again this is for a paper I have for my computer essentials class. I would so appreciate your expertise and time. Thanks again for your questions Dawn - I hope I've answered them. Good luck with your paper.